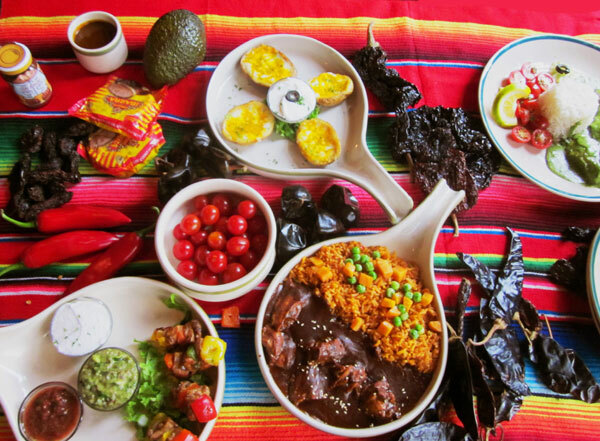 The ongoing Mexican food festival is a rich and colorful mix of the country's culinary traditions-declared an intangible cultural heritage by UNESCO in 2010. Chef Eduardo Perez Romero will be presenting dishes from his home country for the next two weeks at Hilton Beijing. Mike Peters reports. Visiting Mexican chef Eduardo Perez Romero says that if you've never been to Mexico, your idea of his country's cuisine may be entirely wrong. But he's in Beijing on a mission to change that. "Most people expect Tex-Mex: nachos, chimichangas, burritos," he says, speaking of the fast foods popular along the US border and in the movies. 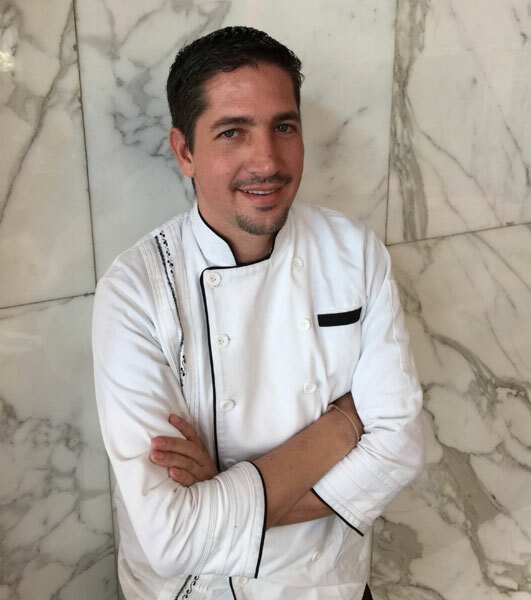 For the next two weeks at the Hilton Beijing, Perez will be presenting dishes from central and southern Mexico, specifically his native Mexico City and his current home, Merida. The two-week food festival, Flavors of Mexico, will feature a buffet in one hotel restaurant, Elements, and an a la carte menu in the Hilton's One East restaurant. Offerings include classics, such as ceviche, fish marinated in lime that he'll present in a cucumber, and salbute, a specialty of the southern peninsula of Yucatan, a soft tortilla topped with chicken and minced pork in blackened chiles. The peppers in question are habaneros, among the hottest on Earth, and Perez sears them "until they are burnt" before stewing the meat with them. The result is a rich earthy flavor typical of Mexico's south, where locals eat more pork than most of their fellow citizens do. Lamb chops in achiote, a pungent herb known as anna to in its seed form that colors foods red, are cooked in a banana leaf with WHITE RICE and grilled pineapple. Another dish, chicken in green mole, may also surprise expectations about Mexican food here: This mole is no chocolate sauce. It's a rich blend of green salsa made with Mexican tomatillos￡-tiny Yucatan Tomatoes that are green when ripe, plus ground pumpkin seeds and epazote, a sharply flavored herb also indigenous to Mexico. Authentic Mexican food requires many herbs, spices, and vegetables that can't be found here, Perez says, noting that he brought many ingredients with him. That will give Chinese diners the chance to experience the most authentic dishes of his country. Eduardo Perez Romero is in Beijing to present Mexican dishes. Besides traditional dishes he grew up eating, Perez will showcase some modern twists, like his tequila-style shrimps. The trendy Mexican liquor is not there for its alcoholic effect, he says, but to impart the complex flavor of agave, the desert plant distilled to make tequila. Perez got through school with no clear idea what he wanted for a career, and ultimately harkened back to his childhood. "My father and mother both cooked," he says, but it's his nanny that evokes the most vivid kitchen memories. "Food was the way she showed me love," he says with a big grin, and that idea resonated long after. Today, Perez is a roving ambassador for the cuisine of his country, which was declared an intangible cultural heritage by UNESCO in 2010. Most recently he spent three months in India, hosting weeklong food festivals in cities all over that food-loving country, and another stint in Ethiopia, where he cooked for 450 diplomats at a dinner for the Mexican embassy. "I like to prepare foods I think will amaze people," he says. Address: Hilton Beijing, 1 Dongfang Road, Chaoyang district, Beijing. 010-5865-5125. 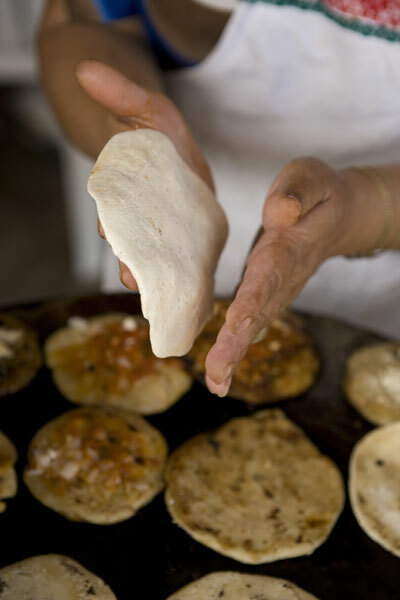 Corn tortillas are fundamental to Mexican cuisine.